You need to know your FERS MRA to find out if you are eligible for different types of FERS retirement. Once you know your MRA, then you’ll want to determine the day your reach your MRA. Let’s look at a few examples. If you were born on 6/1/1965, your FERS MRA is age 56 and 2 months. You will reach your MRA on 8/1/2021. But if you were born on 6/1/1960, your MRA is age 56. You reached your MRA on 6/1/2016. Another example, if you were born on 6/1/1950, your MRA is age 55 and 6 months. You reached your MRA on 12/1/2005. Reaching MRA alone is not enough to qualify you for retirement. To be eligible for FERS retirement, you must meet a combination of age and years of service requirements. Once you know your MRA, the next step is to understand the different types of FERS retirement rules. Some rules involve your MRA – so it’s important to know your FERS MRA. But other retirement rules revolve around fixed ages like age 60 and age 62. If you already know a bit about FERS Retirement – Click here to learn more about the specific types FERS eligibility rules for retirement. 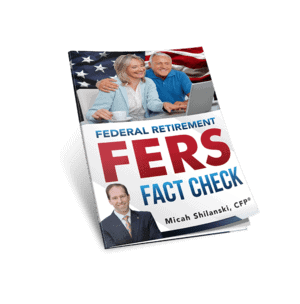 But if you’re just starting to learn about federal retirement – click here to go to our main overview page about FERS Retirement. Federal retirement rules are complex. There’s a lot of moving parts and pieces and it’s important to make sure you’re not missing anything. Above all, it’s important to understand all of your options *before* you separate for service.